It's always interesting to see home improvement shows because you get to see how some renovations are done and also what problems can come with the project of renovation. While watching a family decide to renovate their home, one of the walls were infested with dry-wood termites. The next step was to get rid of those termites and the homeowner had to contract a pest control contractor who may kill the termites. If there were no dry-wood termites their would have not been any property damage. That in fact is a problem for many homeowners and for many commercial properties. The National Property Management Association, estimates that termites cause $5 billion in property damage. 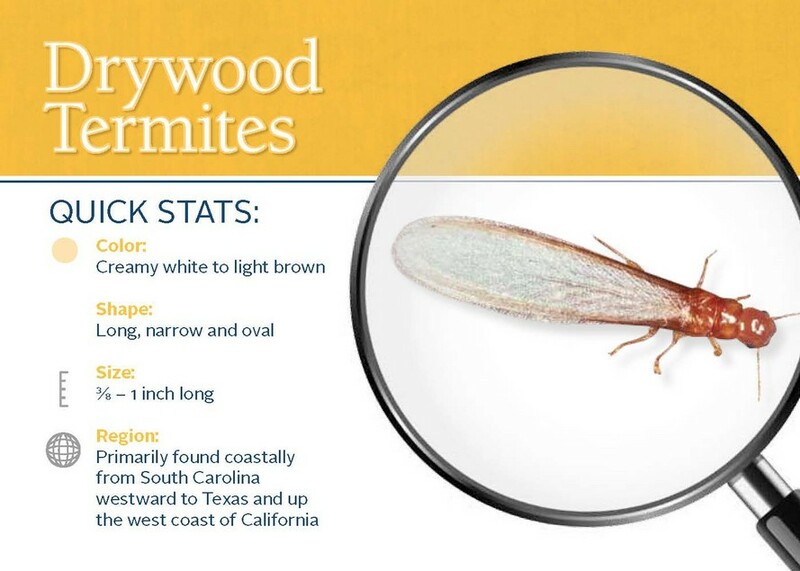 Dry-wood Termites eat up a every second they can every day which means that any damage that is being done to a property is being damaged very quickly. Although a homeowner may notice they're termites in their home by spring but by that time termites swarm and make more damage. It is better to inspect early and have an infestation take control later. What damage do termites do to your property? They can damage house foundations, furniture, shelves,flooring walls and insulation. When termites consume their food, you will notice that the wood is ragged and rough looking. In order to reassure that you can prevent termites from swarming into your home is to understand where they can do the damage.There are several ways to prevent from termites entering into your property. The two most importantly is to reduce any moisture in your home or even eliminate any moisture in your home. Termites need moisture to live and feed off of more wood. The second tip if to let in some air into your property. Ventilation can also reduce humidity levels in your home. At Alliance Environmental Group, Inc one of the best methods to eliminate dry wood termites is to use heat. It is an environmentally friendly alternative to chemicals and improves the quality of your home as well. If you do find any dry wood termites contact us and we may be able to assist you.